If you feel you are not ready for open employment, then there are more supported options. These are supported workplaces which produce commercial products and services such as packaging, plant nurseries, laundry services and recycling. Australian Disability Enterprises are good options for those who are able to work but require more support than can be offered in more open employment. You can find an information sheet at the website Get Ready For Study and Work here. There are also options to work at a lesser capacity than other workers. You are then paid wages which relate directly to your productivity. Read more about the Supported Wage System here. 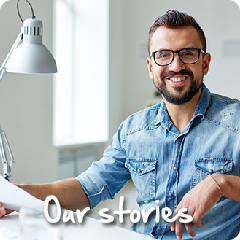 Our Supported employment – Young people page has information about Australian Disability Enterprise and the Supported Wage System. Just click on the green Young people tab above left.